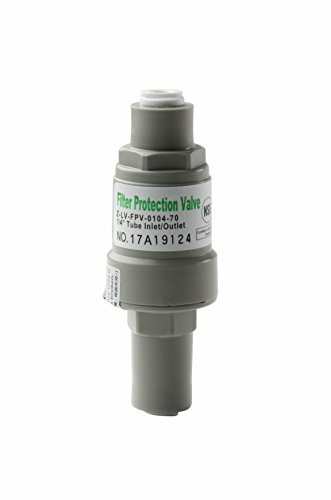 The Pressure Regulator / Protection Valve is to be installed before water applicants such as reverse osmosis systems, water filters, ice makers, coffee machines, chillers, hot water tanks, water coolers, etc, that are sensitive to water pressure. The built-in mechanism limits water pressure to below certain level, such as 70 psi, thus reduces the impact of high water pressure and/or water hammer. The iSpring Pressure Regulars are compliant with iSpring's high quality standard to ensure performance and durability. - Connection type: 1/4" push-in quick fittings.